It’s been a very hectic month or so here, and while I have been managing to feed us and keep us eating well, I was challenged to find the time to share those recipes with all of you. Finally I’ve managed to come up for air, and what I have for you today is my favorite dish to come out of my kitchen recently … and the lovely thing is that it actually came off of our grill and, if I am not mistaken, this comes at a good time for all you who live in more temperate climates. I am hoping that these early days of spring are bringing you all warmer weather, and a recipe for the grill is a perfect excuse to get outside and dine alfresco. This recipe combines some of my favorite things: Indian food, kabobs, seitan, grilling, and eating outdoors. Whip yourself up a batch and, while you’re standing over grill, smile at the fact that you are participating in a act of converting the tried and true conveyor of barbecue and seared meat products into atrue blue vegan grillin’ machine. 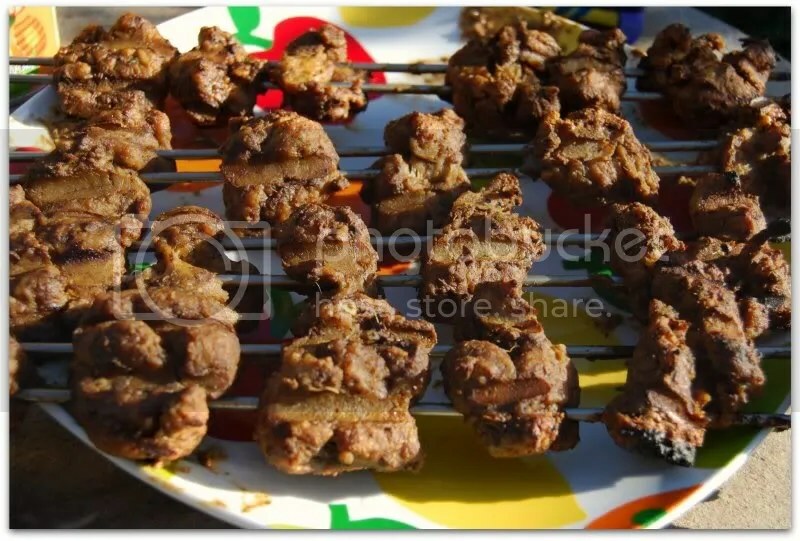 Then, as you sit outside with a cool breeze at your back and you enjoy these kabobs with friends and family, hopefully you’ll be basking in the thought that “life is good.” While you’re at it, grill up a batch of naan to serve along side your tikka masala. 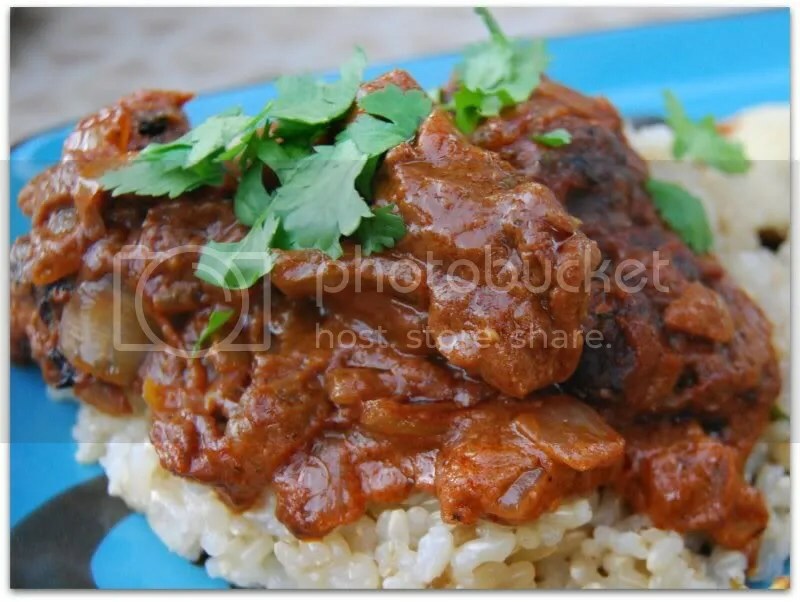 This recipe was adapted from the cookbook The Food of India. 1. Blend all marinade ingredients in a food processor or a high speed blender until smooth. Season with salt to taste. 2. Cut the seitan dough into bite sized chunks. Place these into a bowl with the marinade and mix thoroughly. Cover and marinade for 6-8 hours. 3. Set your grill to medium heat/flame or heat your oven to 400F. Grill, covered, for 10 minutes per side or roast on an oven rack above a baking tray for 15-20 minutes. 1. Heat the oil in dutch oven or heavy sauce pan over medium heat. Add the onion and sauté until lightly browned. Add the cardamom and garlic and cook for 1 minute, then add the tomtoes and cook until the sauce thickens (about 5 minutes). 2. Add the cinnamon, garam masala, chili powder, and sugar to the sauce and cook for 1 minute. Stir in the coconut milk and almonds, then add the cooked seitan tikka. Gently simmer for 30 minutes. Garnish with the chopped cilantro. Happy to have you back with us! Oh how I miss having a little piece of rooftop or garden for grilling! 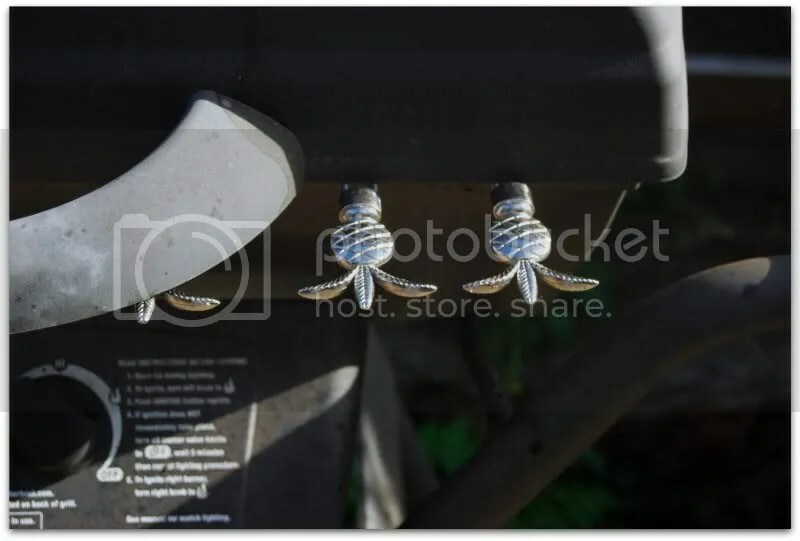 Your grill pics sure make me wish for a ticket to come to your place! I still think I’ll be able to wing this in my oven though, and wing it I will indeed! I need to get a grill! 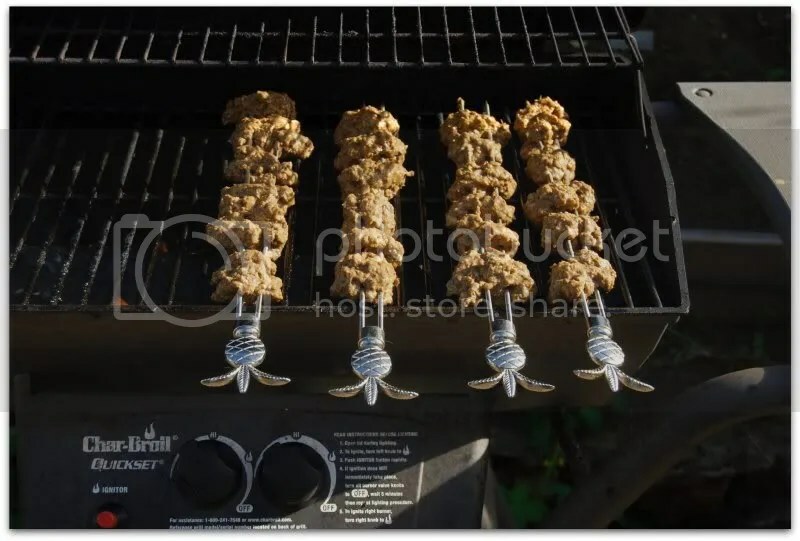 These seitan kebabs look so delicious, and I love your pineapple skewers. What cute skewers! I’m glad you’re back. 🙂 And the recipe looks amazing–nothing beats grilled Indian food!! I just made a batch of the VwaV seitan and not this recipe is calling my name. It looks perfect! I can’t find any meat in your recipe. Hi Gail, I’m so glad to have run across your blog; the recipes are incredible. I’m currently trying this one out and had a quick question–did you try out the oven roasting instructions for the tikka or is that just an estimate based on the grilling time/temp? I followed the seitan directions from Isa’s website (which I’ve heard is the same as, or very similar to, Veganomicon), but mine was still doughy after 20 minutes in the oven. I can’t figure out where I went wrong! Thanks so much for any help (and, again, the wonderful blog)! This looks so delicious! What a great blog!